The small road sign at the Bells Beach turn-off simply said ‘Event’ but I wasn’t heading to the 50th Bells Beach Easter Classic, even if the waves were the best since Noah parted the Red Sea. 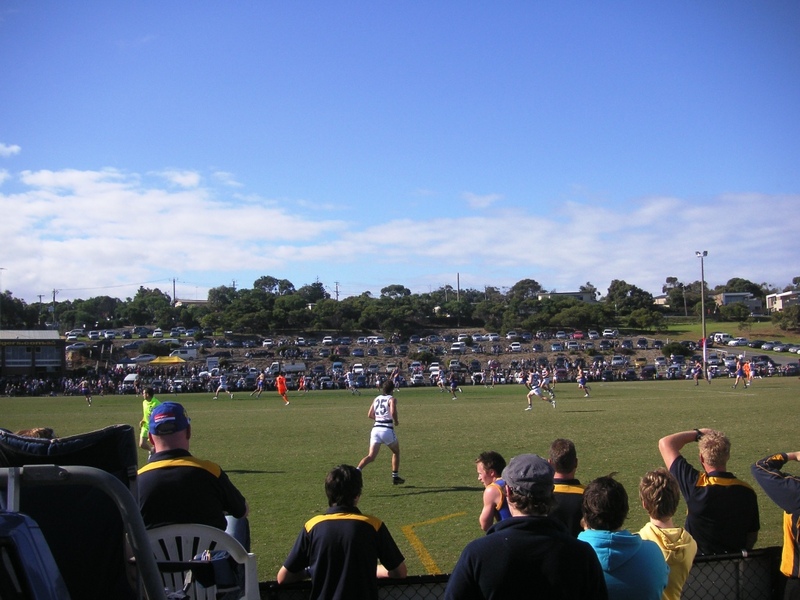 I was heading to Spring Creek Reserve in Torquay where Williamstown was playing an Easter Sunday ‘home’ game 100 kilometres from home, against Geelong’s VFL team. 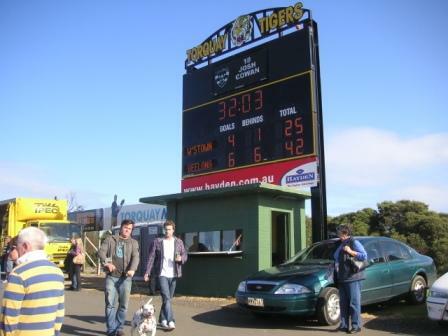 Plenty of country grounds feature car-parking around the boundary but Torquay has tiered four-level car-parking on the town side of the ground. 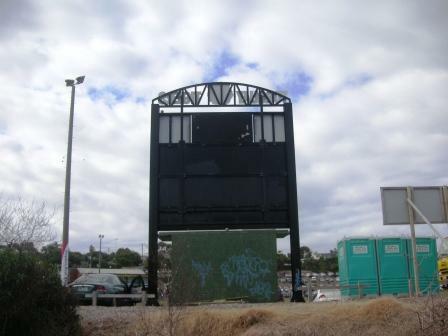 The scoreboard is on the Spring Creek side of the ground, set back from the wing, behind the utes and the four-wheel drives, the kids and the dogs. Scores were locked together at 13.12 (90) apiece at three-quarter time but Williamstown drew away in the final term, winning 19.20 (134) to 15.12 (102). 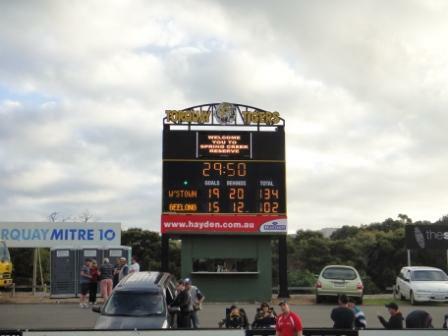 On Easter Saturday Torquay, a strong team in the Bellarine league, lost its home game to an accurate Barwon Heads, 13.15 (93) to 17.6 (102). Former Torquay Tigers include current Port Adelaide players Travis Boak and Jasper Pittard.